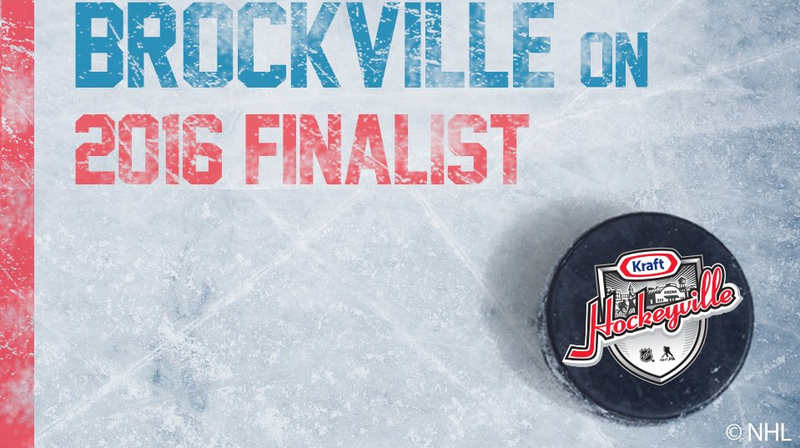 Rotary Park, Brockville is a 2016 Kraft Hockeyville Finalist! #khv_rotarypark #Brockville has been selected as a Top 10 Finalist for Kraft Hockeyville 2016 but we need your votes to win it all! The winning community will receive an NHL pre-season game and $100,000 in arena upgrades. Second prize is $100,000 in arena upgrades, while the remaining eight arenas each will get $25,000 in arena upgrades (Brockville, at minimum has won $25,000). The first round of voting begins on Sunday, March 13th, 2016 at 9:00 AM EST and closes on Monday, March 14th, 2016 at 11:59 PM EST (“Voting Period #1”). Voting is unlimited and is done on-line at http://khv2016.ca/en/. The two (2) Entries (one (1) entry per Region) that receive the most votes during Voting Period #1 will be determined as the Top 2 Finalists for a chance to win the Grand Prize. The second round of voting begins on Sunday, March 20th, 2016 at 9:00 AM EST and closes on Monday, March 21st, 2016 at 11:59 PM EST (“Voting Period #2”). Voting is unlimited and is done on-line at http://khv2016.ca/en/. The Entry that receives the most votes during Voting Period #2 will be determined as the potential Grand Prize Winning Community of Kraft Hockeyville 2016. The Entry that receives the second highest number of votes of the Top 2 Finalists will be determined as the potential Second Prize Winning Community. The remaining Top 8 Finalists will be determined as potential Third Prize Winning Communities. If you have any questions or concerns, do not hesitate to contact the Brockville Winter Classic Weekend committee at brockvillewinterclassic@gmail.com.